A 2-drug combo of Buprenorphine and Naltrexone may well be the non-addictive cocaine treatment medication the world's been waiting for. There aren't many drugs as addictive as cocaine - and unfortunately, once you're addicted, no medications exist to help you kick your habit. Scripps Institute researchers think they've developed an effective 2-drug treatment for cocaine addiction that makes use of 2 medications already FDA approved as addiction treatment drugs, naltrexone and buprenorphine. The mu opioid system: After ingestion cocaine blocks mu opioid reuptake which results in a huge spike in dopamine activation and resultant euphoria. Over time, a cocaine dependent person needs to take larger and larger doses to experience this euphoria. The kappa opioid system: Cocaine ingestion causes the kappa opioid system to release dynorphin, which results in feelings of stress and dysphoria (the opposite of euphoria). Dynorphin causes the negative feelings of the come-down. Over time, the kappa opioid system becomes more sensitive to cocaine and smaller quantities produce greater stress and dysphoria. A cocaine addicted person craves the high and also needs the drug to temporarily eliminate feelings of dysphoria. Buprenorphine activates the mu opioid system causing moderate euphoria and a cessation of cocaine cravings. significantly, it also blocks the release of dynorphin, reducing negative effects. 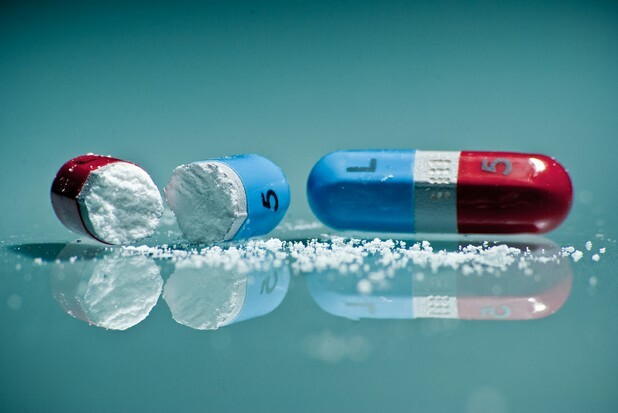 Unfortunately, buprenorphine is an addictive drug, so it has been considered inappropriate for use as a cocaine addiction treatment medication - as users would only substitute a cocaine addiction for an opiate addiction. But when you add a small amount of naltrexone to the buprenorphine you block the 'high' and addictiveness of the drug without reducing it's ability to reduce the dysphoria and cravings of cocaine withdrawal. Cocaine addicted rats given the 2 drug combo showed a significant reduction in desire to use cocaine and did not exhibit opiate dependence withdrawal symptoms after cessation of use, as rats treated only with buprenorphine did. The full research results can be found in last week's edition of Science Translational Medicine.